"Deputy Foreign Minister Felix Plasencia held a work meeting with North Korea’s Representative to the United Nations, Kim Song […] Taking into account the intervention background, aimed at overthrowing the constitutional government of President Nicolas Maduro, permanent representative Kim Song showed his solidarity with Venezuelans and said his government was willing to further strengthen the ties of cooperation and brotherhood between the two countries", the ministry said in a statement. During the meeting, Plasencia addressed the latest political developments facing the Caribbean nation due to what the Foreign Ministry called "a campaign on international discredit and the United States insisting on the so-called ‘humanitarian aid,’ which would justify foreign intervention, to be delivered to the country". Venezuela is facing an acute economic crisis accompanied by political turmoil. The opposition, which is seeking to remove constitutionally elected Maduro from power, has repeatedly cited the lack of humanitarian supplies and called on the authorities to let in international humanitarian aid. 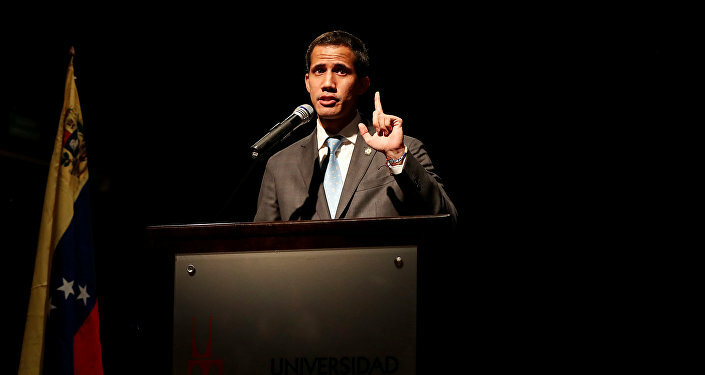 Juan Guaido, the opposition leader who has proclaimed himself Venezuela’s interim president, has announced that on 23 February the humanitarian aid will come to the country. However, incumbent President Nicolas Maduro, backed by Russia, China, Turkey, Iran and other countries, has refused to let in the shipments, blasting this as a ploy to topple his government, and demanded instead that Washington lift economic sanctions off Caracas. Meanwhile, hubs for humanitarian aid going to Venezuela have been set up in Colombia and Brazil. 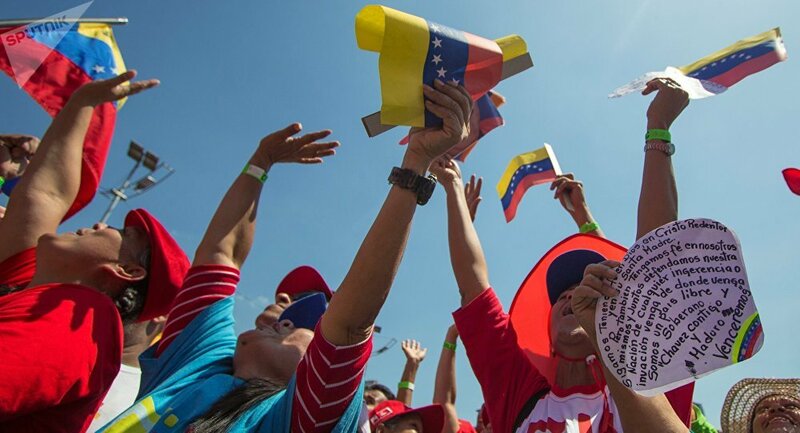 The US Department of State said on Sunday that the first batch of humanitarian assistance for Venezuela had been delivered to the centre in Cucuta, Colombia. On Wednesday, US President Donald Trump and Colombian President Ivan Duque Marquez conducted a bilateral meeting at the White House. At the meeting, the presidents promised to send a "tremendous" amount of humanitarian aid to Venezuela. On Monday, Christoph Harnisch, the head of the International Committee of the Red Cross (ICRC) in Columbia, said his organization will not assist in delivering the goods to Venezuela because the ICRC does not consider the US assistance to be humanitarian aid.